The Presidential Triple laminate shingle look a lot like real cedar shakes, however they are tougher and more robust. Presidential Shake Tri Lam, the lavish shingles with the glance of cedar shakes and the premium composition roofing solutions available in industry. Presidential Tri Lam Shake shingles convey the attraction and quality of hand-split wood shakes with the strength and permanence that leads the wood in almost every environment. The three layers of substance for industry’s toughest, thickest and heaviest shingle. The molded tabs offer the glance and attraction of older world wood shake with improved performance and at a proportion of the cost. Presidential Tri-Lam is available in exclusive, rich rustic colors to go well with your taste. Presidential shake tri lam provides your home the distinctive seem of a hand-split wood shake roof with the stability and performance that left wood in sawdust. You will have staggered lines, sculpted edges and triple layer intensity for an incredible ground level result that will last longer. This coat resembles with the unique and original wood shake look shingle. 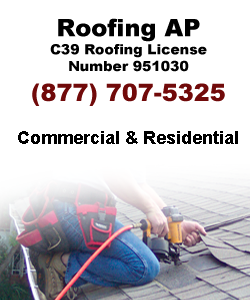 Remember that, applying a roofing system properly is necessary to the guarantee and performance of the roof. Get Presidential Tri Lam in Los Angeles.